Over on YA Highway they're asking: "what's your numero-uno reason for writing?" I love to write because I'm restless. I didn't realize it until the Writing Partner called me on it. It's true though: I'm always looking for the next thing. I've lasted about two years at my last three day jobs, and the timing runs like clockwork. I get antsy. I get bored. There's nothing new to learn and I can feel the seconds of my finite time on this planet ticking away with nothing to show for them. With writing, each new idea is a new start. I'm in love with that burst of adrenaline that comes when you know...just KNOW...that you have a great idea. And then you can just sit down and start writing! You don't need anyone's permission! Nobody can stop you! I think I just discovered that I have a problem with authority. Thanks, YA Highway! 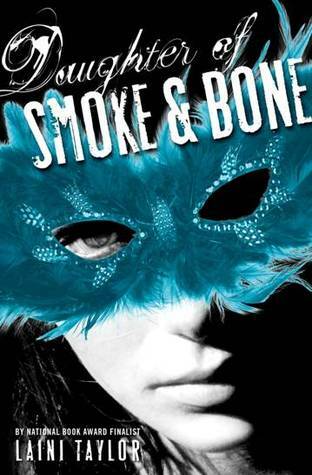 DAUGHTER OF SMOKE AND BONE is easily the best book I've read all year. Lyrical prose that's full of impact without being heavy handed. Characters that I want to befriend and have adventures with. A world that somehow manages to be fantastical, yet grounded. And now I want blue (or pink!) hair. Love love love this book. Read it, y'all. That's an order. I do this for your own good.